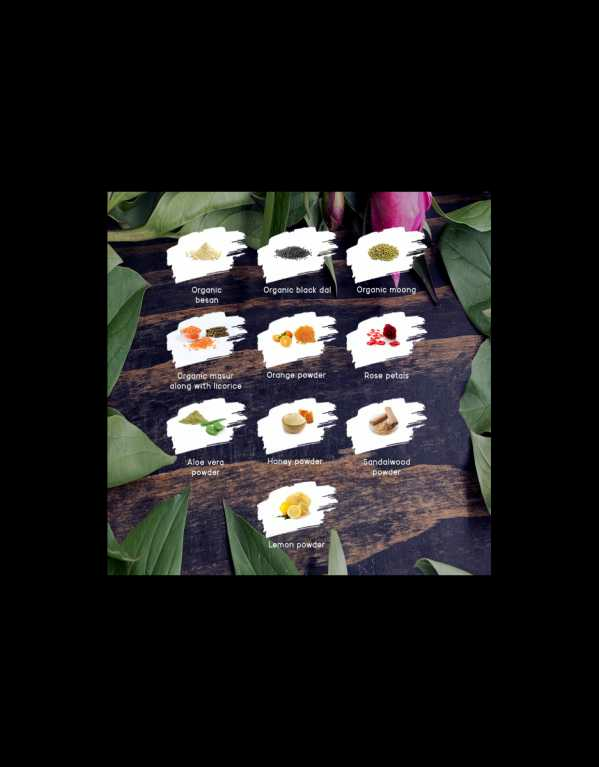 Organic besan, organic black dal, organic moong, organic masur along with licorice, orange, powder, rose petals, aloe vera powder, honey powder sandalwood powder and lemon powder, which makes the cleanser more exotic and result oriented! 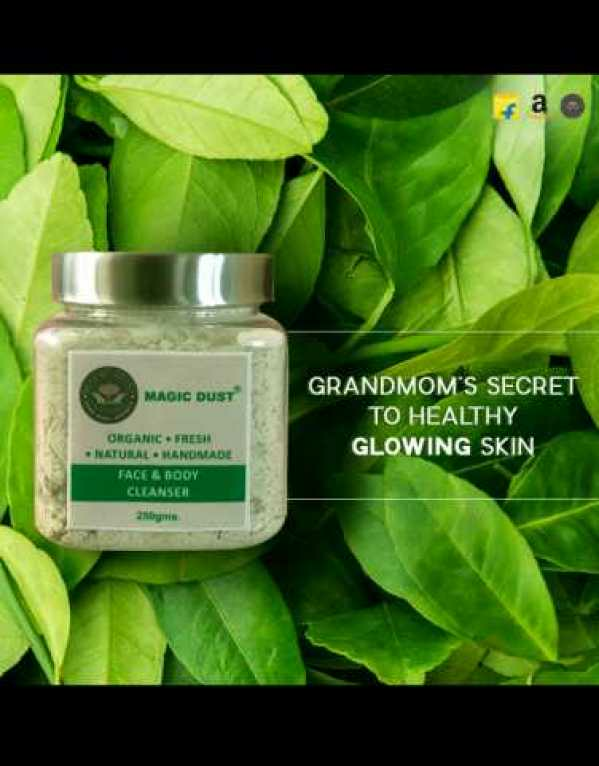 Benefits: This Magic Dust magical Face and Body Cleanser is a gentle exfoliating treatment that stimulates the underlying tissues of the skin. 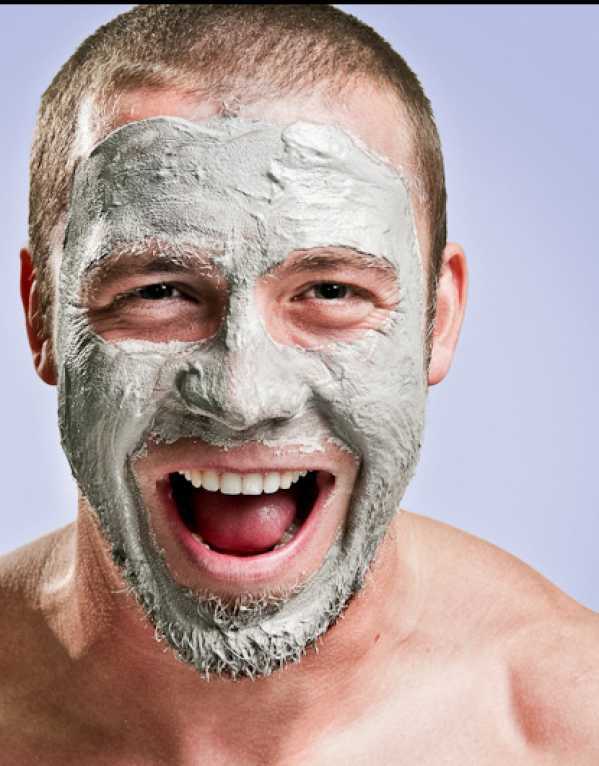 This ‘cleanser’ gives a natural glow to the complexion. Its regular usage prevents the occurrence of premature fine lines It improves skin texture, giving skin a smooth radiant finish. The cleanser can be used by infants, kids, and adults: Take two to three teaspoons and mix with Aloe Vera Juice, water, Milk or Rosewater to make a creamy paste. Apply it on your face and body and keep it until it dries up then rinse off well using water. 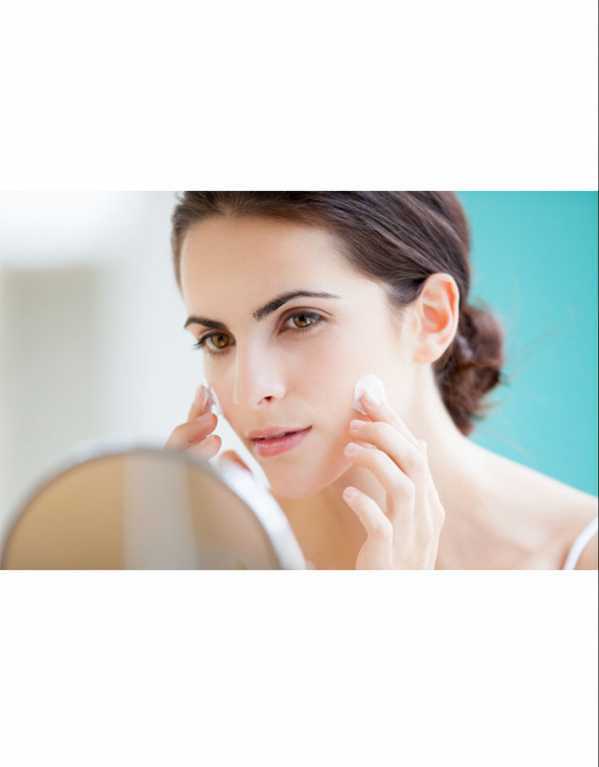 The most obvious sign of ageing is dry skin. Applying make-up, which is a major skin routine for girls especially ladies, leaves the skin dry, dull and flaky. Also, due to the chemical present in cosmetic products, regular application of make-up makes your skin lose its moisture-retaining power. 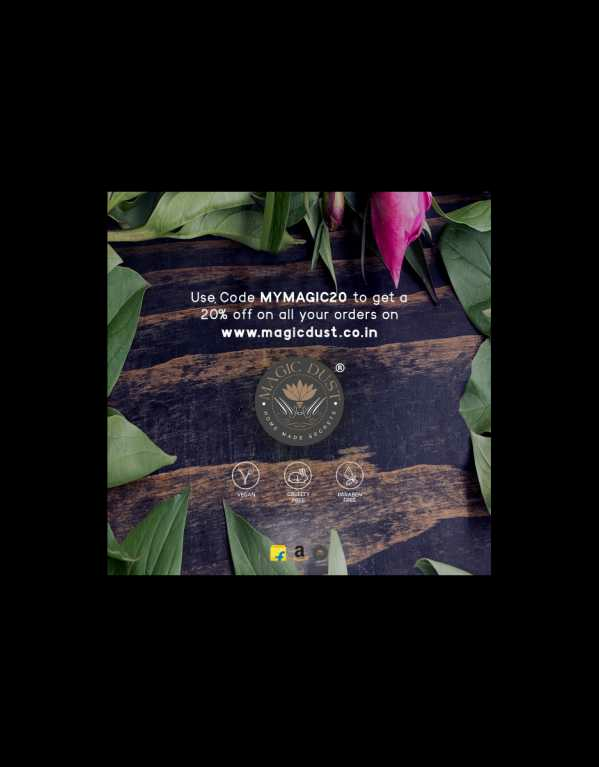 Thus, by regularly applying the magic dust day cream you are able to restore moisture, as this cream is ideally designed as a moisturiser. Plus, it can be also be used as a base for your cosmetic products. 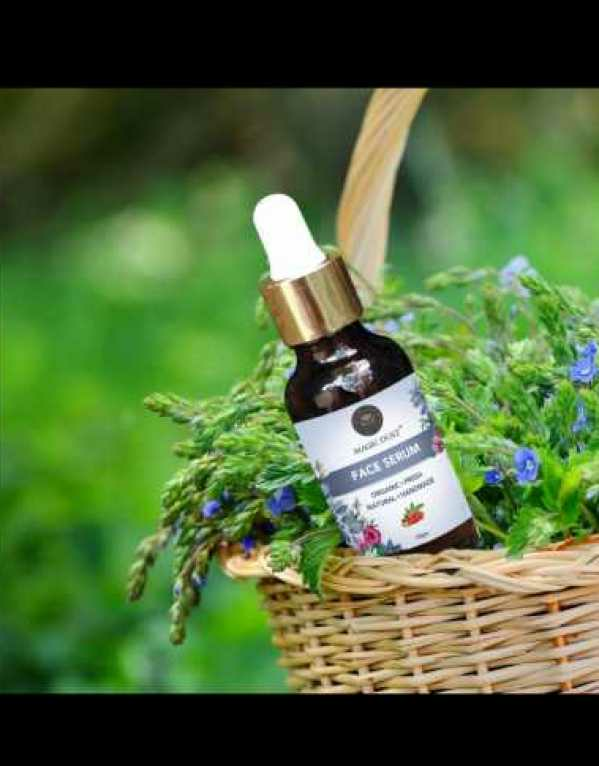 A perfect formula of organic and natural ingredients, this product is the best anti-wrinkle cream that helps repair extra-dry skin and is oil free. It comes with 15 SPF sunblock that provides protection for sun all day long. 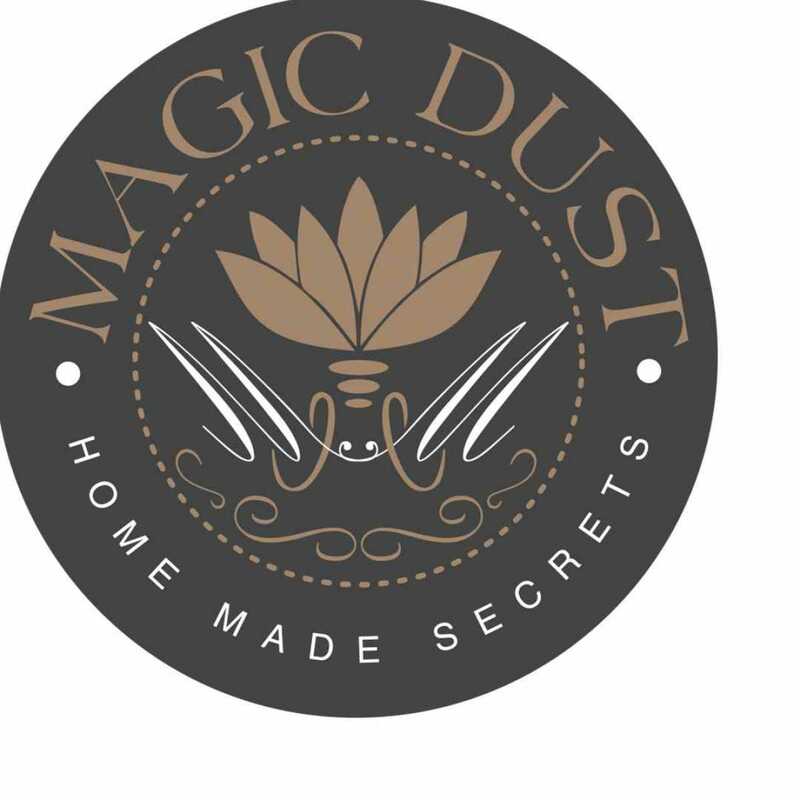 Consisting of a mild fragrance, this magic dust day cream helps increase luminosity and rejuvenates your skin providing it with a warm and a healthy glow. Serums help deliver the added nutrients that your skin requires. This product is a lightweight and non-oily serum with SPF that not only moisturises your skin but also helps protect your skin from harmful UVA and UVB rays. The Vitamin E Serum helps lock in moisture for 24 hours, keeping your skin well-hydrated and making your skin smooth and soft. The Antioxidant properties present in this serum also protects your skin from free radicals. Plus, this powerful serum comprises the best active ingredients that your skin will absolutely love. 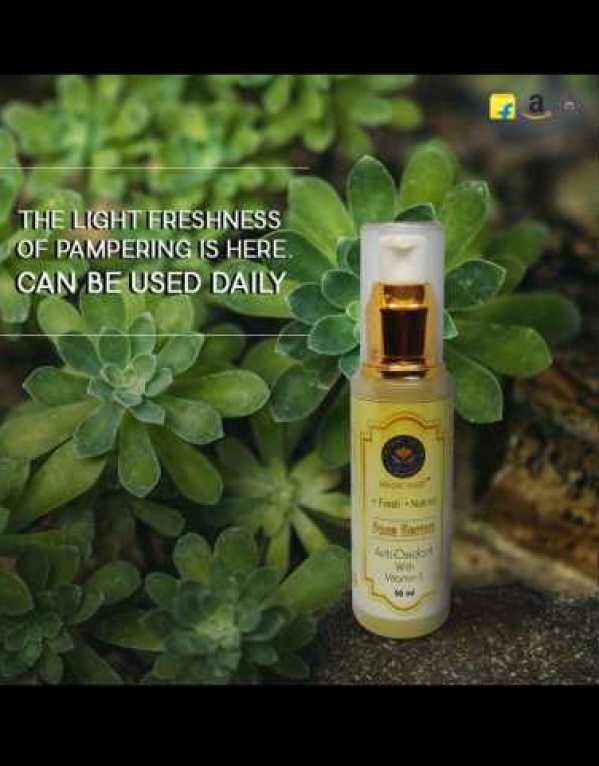 Furthermore, since this serum is lighter than normal moisturisers, it penetrates the deepest layer of your skin, thus rejuvenating your skin completely. <strong>Usage</strong>: For best results, apply this Serum twice a day. Recommended for all skin types. 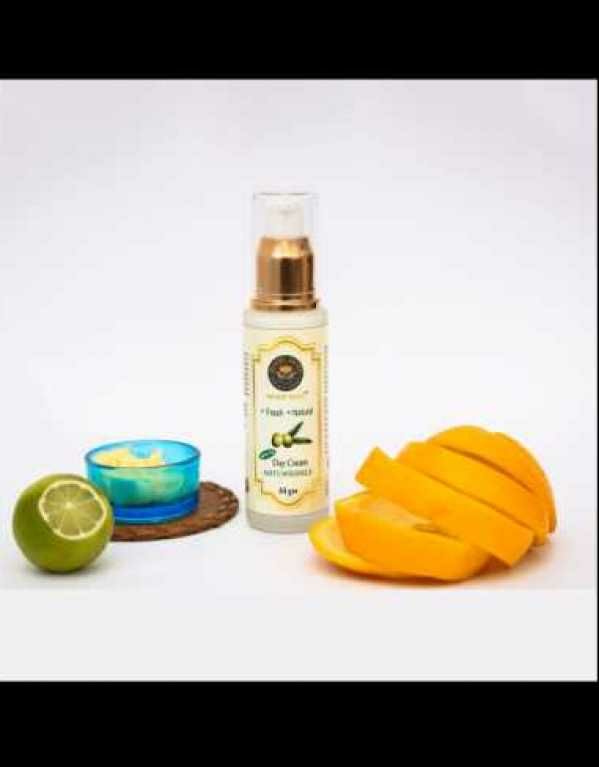 Vitamin C Face Serum is known for its many skincare benefits. 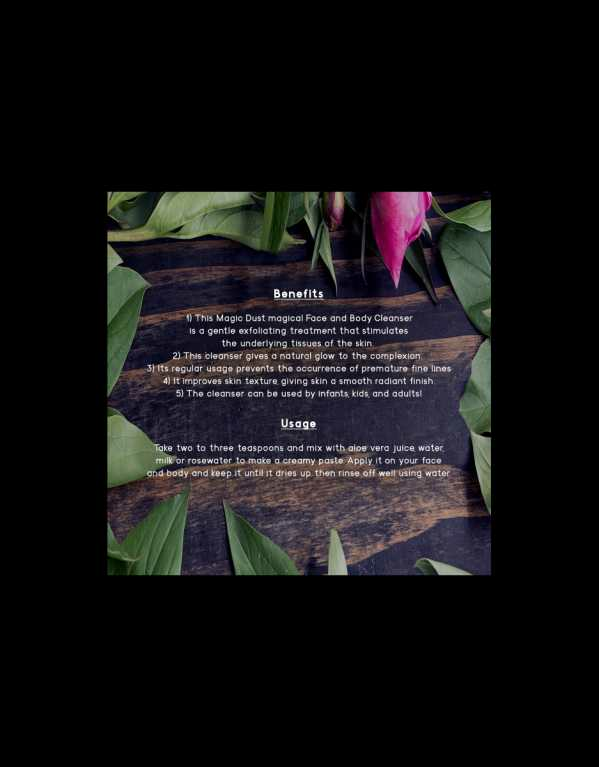 It boosts collagen production and gives your skin a youthful glow. Counters redness hyper pigmentation and evens out the skin tone. Keeps the skin hydrated & prevents signs of premature ageing, heals scars and blemishes and reduces dark circles under the eyes. Benefits acne prone skin. The antioxidants present in Vitamin C serums make it especially useful for those with acne. They counter the free radicals that cause acne, cleanse the skin of toxins, reduce redness and inflammation and help smooth out the skin by healing acne scars. <strong>Usage</strong>: Vitamin C serums can be easily incorporated into your daily skincare routine. Apply a couple of drops of the serum to your day and night cream or directly apply the few drops to cleanser. If you do use a toner, then it’s best to use it before applying your serum. 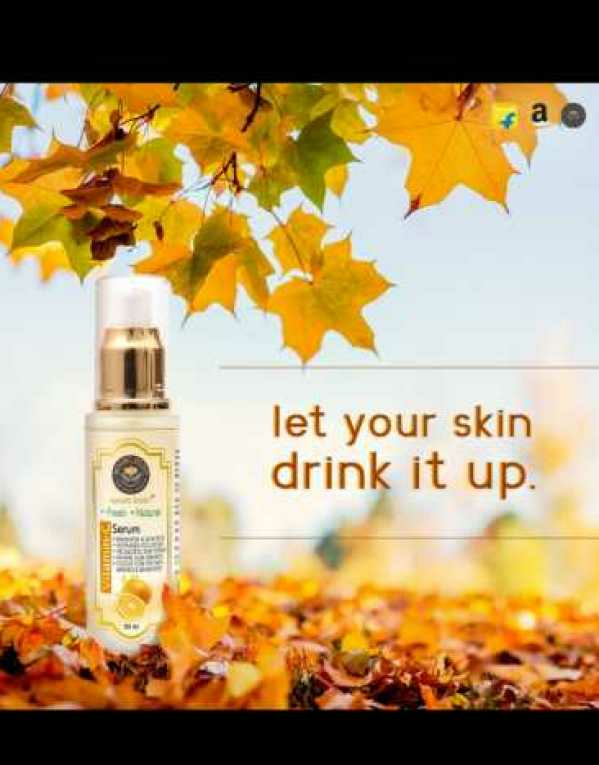 Because Vitamin C serum is made with natural ingredients, it can safely be used on the skin twice a daily. Is your skin’s in desperate need of a detox mode? We’ve got a perfect face serum for your rescue! Prevents acne and dark spots. Smooths out wrinkles and fine lines. Hydrates, nourishes & brightens the skin. Works as a cleanser, toner & moisturiser. Grape Seed Oil is highly viscous oil that is extremely rich in beta carotene and vitamins D, C, E. It is loaded with fatty acids like palmitic, stearic and linoleic acid which reduces wrinkles and scars. Argan Oil is absorbed easily by the skin and is a great natural moisturizer. It heals skin ailments. Jojoba Oil is used for controlling acne, it acts as a skin moisturizer too. Olive Oil has anti-aging properties and improves skin health. Lavender Oil detoxifies your skin and accelerate the healing process of your skin. Geranium Oil possesses antibacterial and antimicrobial properties. It reduces scars of your skin and encourages recycling of dead cells. A Gentle Facial That Makes Your Skin Glow! HydraFacial is being touted as the game-changing treatment for sensitive skin, so we went ahead and gave it a try at the AAYNA Clinic in Khan Market, New Delhi. I must say, the end result comes out to be great, browse through to know how! 13 Beauty Oils You Need to Start Using Now! 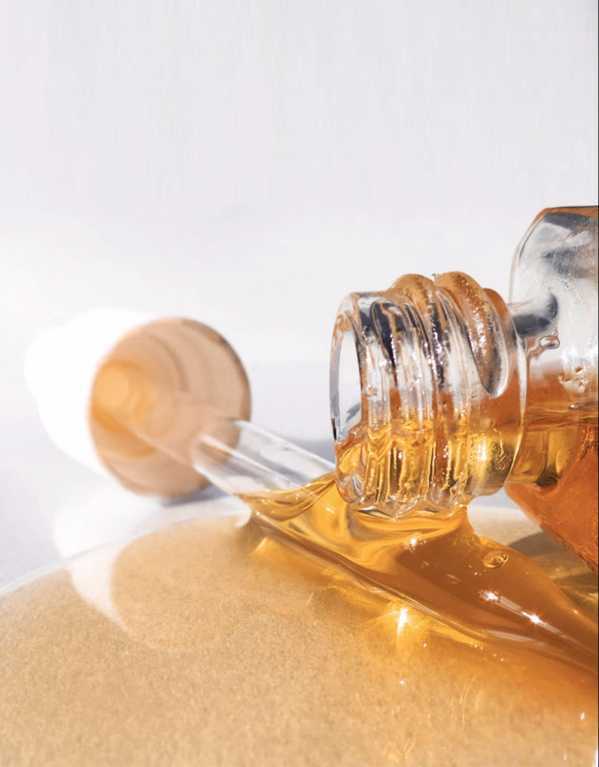 Face oils have now become a vital addition to skincare routines. Be it the ones to use after your morning moisturizer, with your makeup or before your nighttime snooze, here are the 13 best face oils out there for you to try right this moment!